The Jersey Lilly Saloon. 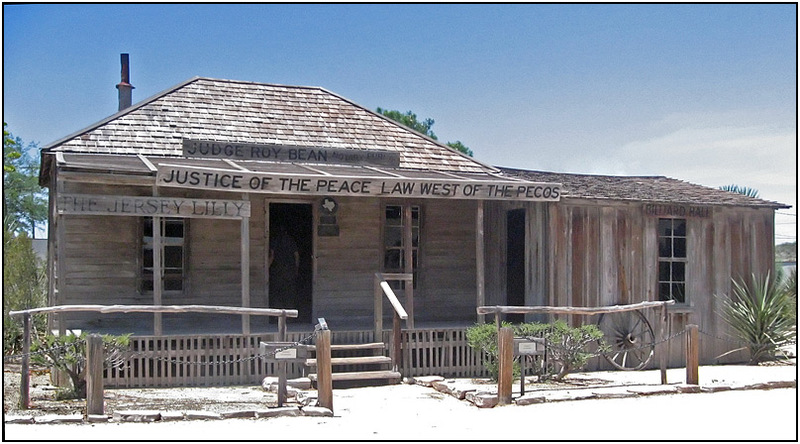 Roy Bean, infatuated with the actress Lilly Langtry, named his saloon and courthouse after her. He did several things to attract her into visiting him here. Shortly after he died she finally came. It appears the right hand low roof section was added after Bean's heyday -- pictures from the time show only the hip roofed part.